Bet365’s new Italian sportsbook has positively bolted out of the starting gate, generating €12m in wagers in September despite only being operational for one week. 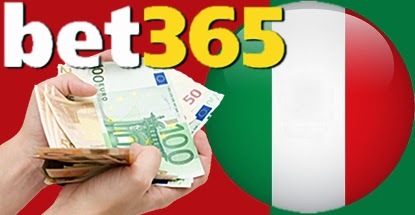 According to figures viewed by eGaming Review, had Bet365’s site been live the entire month, it would have garnered around one-quarter of the total online sports handle generated by Italian-licensed operators. Italy’s regulated online sports betting market earned revenue of €21.2m in September, a whopping 76% increase over the same month last year. The impressive increase is largely the result of Italian regulators having approved twice the number of legal betting markets late last year. Sadly, Italy has been less forthcoming about any plans to reduce the weighty tax burden imposed on the country’s licensed online betting operators. While many European dot-country markets impose stiff tax regimes on operators, Italy goes one step further by requiring operators to pay a tax on sports betting turnover rather than on revenue. Operators have long complained about this model, which requires them to pay steep taxes even in months when they come out on the losing end of punters’ decisions. The Italian government had introduced a delegation law that allowed for a review of the online betting tax code and possible recommendations to improve the overall market. However, the country has since undergone a change in government and the new administration appears leery about doing anything that might reduce the cash-strapped nation’s tax coffers. For the moment, the new Finance Minister appears more concerned with catching tax scofflaws, including gambling operators not holding an Italian license. Italy estimates it loses €122m per year in potential tax revenue by players gambling with illegal operators. Finance Minister Pier Carlo Padoan recently issued a 140-page Report on Tax Evasion, which claimed law enforcement efforts against illegal gambling operators weren’t just about boosting taxes, but were meant to “protect the market from the attempts of infiltration of organized crime, money laundering activities and at the same time protect consumers from unsafe and dangerous game offerings.” But, yeah, it’s mostly about taxes.